Oh gosh finals are getting to me. This week might be a bit sketchy, but I am determined to make it to Z! Pippin has the reputation of being the..less than bright member of the group. And sure, he gets himself into trouble an awful lot, and he makes his (and maybe a few other people's) share of mistakes. But he is also a loyal friend. He is courageous and determined and sometimes so so intelligent. A lot of his mistakes come from simply being curious and can you really fault him that? He is naive and a little bit ridiculous sometimes, but when it comes down to things he refuses to give up. He plays a huge part in the victory over Isengard by getting Treebeard to see everything that Saruman has done to the forest. He lights the beacon that brings Rohan to Gondor's aid. And he joins his friends to distract the powers of Mordor from Frodo, which is almost certainly suicide. I could write a book on all the reasons Pippin is a fantastic character. Maybe I will someday. But this will have to do for now. Do you love Pippin as much as I do? Do you have any idea how few "O" characters there are? But honestly I loved this little guy. Comedic relief? Yup. Kinda ridiculous sometimes? Yup. Loved him for it? Absolutely. 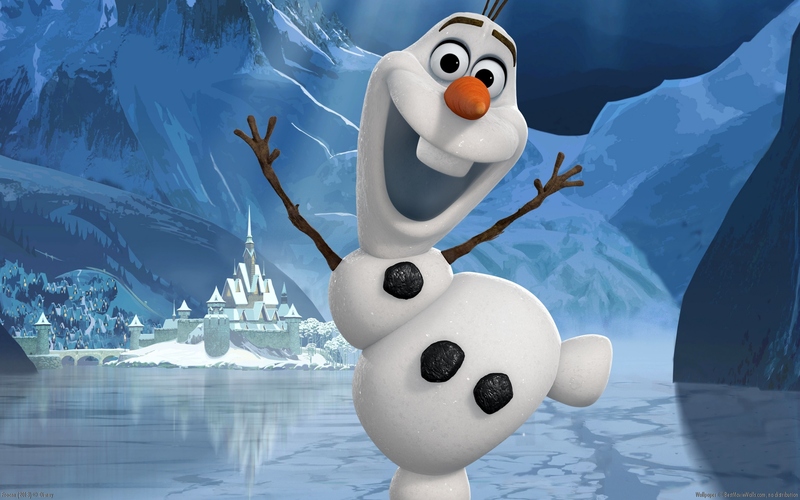 So...yeah this post is basically just a gif montage of adorable Olaf moments. I'm cool with that. Like I said there is no extensive reason why I like him. I just do. And you should too. Because he's adorable. And sometimes just having an adorable character off to the side is a really good idea. Do any of you love him as much as me? Do you have any super eloquent explanations as to why that I should have talked about? I'm sure their are lots of reasons but to be honest his adorablness is the biggest factor for me. 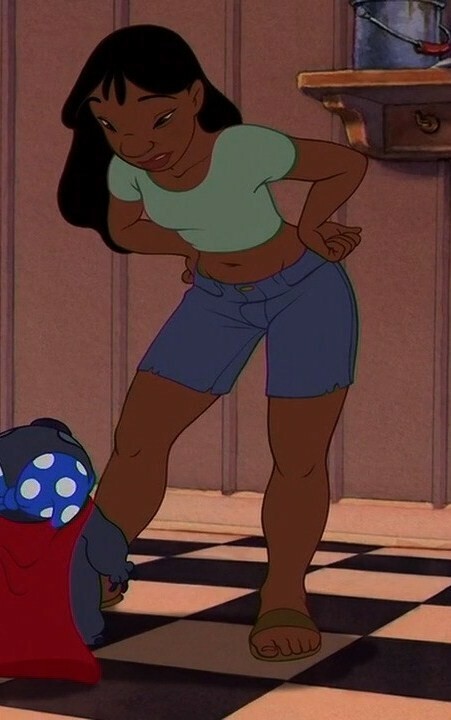 Nani from Lilio and Stitch is one of the most underrated characters in the Disney universe. Seriously. Nani was well on her way to becoming a professional surfer when their parents died; she gave up everything to be there for Lilo. She always did absolutely everything she could to keep their little family together. 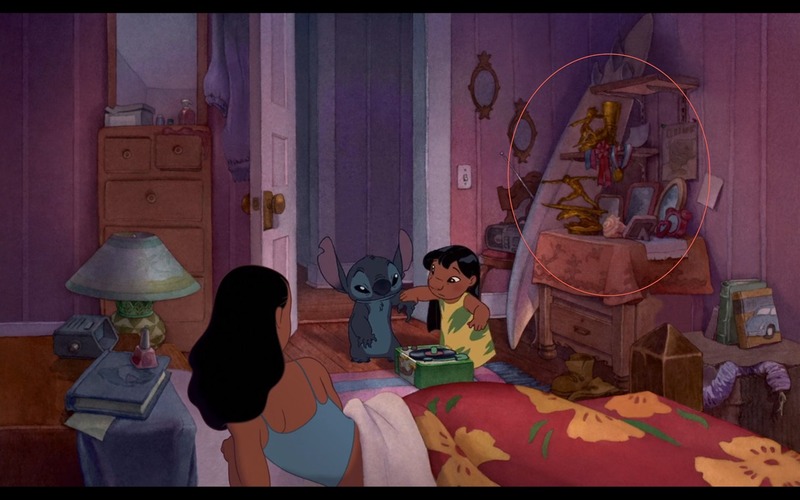 On top of that, she was an amazing big sister to Lilo. Lilo is a very unique little girl. She has her own way of looking at the world and a lot of people find her eccentricities very strange. She never tries to stop or change Lilo; she just rolls with it. And that is pretty fantastic if you ask me. Nani goes through hell trying to keep their family together, but she never gives up. She never lets Lilo think anything that is happening to them is her fault.She just does whatever it takes to take care of both of them; always she is trying to do what is best for Lilo. And also she isn't an impossibly tiny stick the way most Disney women are, which is pretty cool. Nani is so fantastic. So freaking fantastic and so under-appreciated as a character. She deserves a lot of love. Love her. Please. Okay so I considered making my "M" character Mulan, but I have already written rather extensively on everything that is perfect about that movie. 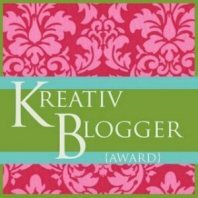 You can find my fangirling post about Mulan HERE! This post is mostly spoiler free however there is one minor detail I could not avoid so if you have not seen through Season 3 Episode 3 and do not wish for any foresight I would avoid the post. Now then. Onto My lady Margaery Tyrell. Margaery is a woman who knows what she wants and will do whatever it takes to get it. And what Margaery wants is to be queen. Not a queen. The queen. She is wicked smart and knows exactly what to say and what to do to get what she wants. She is exceptionally manipulative, but in all the best ways. She plays Joffrey like a fiddle, time and time again. She wants him to fall for her, but she also wants to rein him in. She does not share his cruelty. Quite to the contrary, she does quite a lot of work with the poor and with orphanages once she arrives in King's Landing. She might be manipulative, but she would make a damn good queen. And she knows it. She also has little patience for his cruelty. She hates watching him torture people, but she knows she cannot openly speak out against him. She needs to manipulate him when possible, and when she can't, she does her best to distract him by keeping his focus on her. ^^That is probably my favorite line of her's oh my god it was brilliant. Basically Margaery knows what she wants and she understands the system well enough to get it. She knows just what to say and what to do to get things to work out in her favor. And I love her for it. Because she is not just some power hungry character who wants to rule for the sake of ruling. She would make a fantastic queen. If anyone has a shot of watering down Joffrey, its her. L is for Levi Heichou! 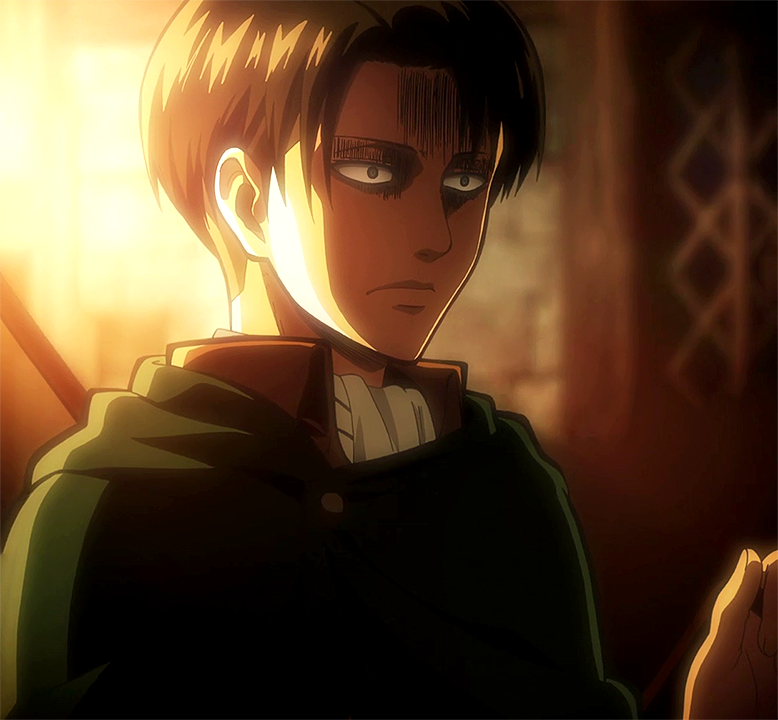 Before I get started on my fangirl post about Levi, let me just say that if you are not watching Attack on Titan you are not living properly. One of the best shows I have ever seen and let me tell you I spend a LOT of time on Netflix becoming a bit of an expert on television. It is currently only available with subtitles as the English dub has yet to be released, but after having seen the preview to the English dub I would really really recommend just watching the subbed version. Its worth it. It is so so worth it. Bit of context again since I know this is an unfamiliar realm for many of you. Attack on Titan takes place in a world where humans have been forced to live behind giant walls that are meant to separate them from the titans, giant humanoid creatures that mysteriously appeared and started eating humans. It has been a century since humans began living behind the walls, 100 years since the titans attacked; and then one day a titan far larger than any other they have seen, called the Colossal Titan, breaks through the outer wall. "On that day, humanity remembered… the dread that was a life under their rule, the humiliation of being caged like birds." Seriously watch it oh gosh it is so freaking good I can't even explain it. Now then. Levi. To be totally honest I still have a hard time articulating what it is I love about him so much. I have had him planned as my L the whole month, but I haven't been able to put it into words. Now here we are. 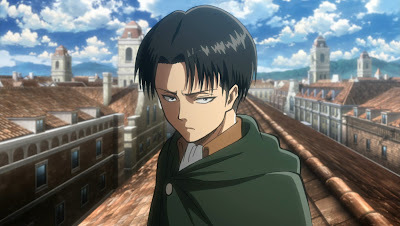 Levi is a lieutenant in the Scout Regiment, which means he belongs to the part of the military that enters titan territory in hopes of learning more about the titans so that they can more effectively fight them. They are the most likely die; most recruits to the Scout Regiment die in their first 3 years of service. But not Levi. We do not know exactly how long Levi has been serving, but he has survived far longer than most ever hope to. He is distinctly talented as a fighter. He is revered by many in the military for his skills. Basically he's the Scout Regiments biggest badass. But surviving so long in the Scout Regiment also means watching everyone you know die around you, and Levi has known his share of losses. By time we are introduced to him it is obvious that he has been numbed to his life as a soldier. He does what is necessary. He shows no fear when entering fights with titans. He shows little to no real emotion during most of the show, except for an episode where he loses someone to the titans. He keeps his walls up as much as possible, but there are moments when the horrors of his life cut through. 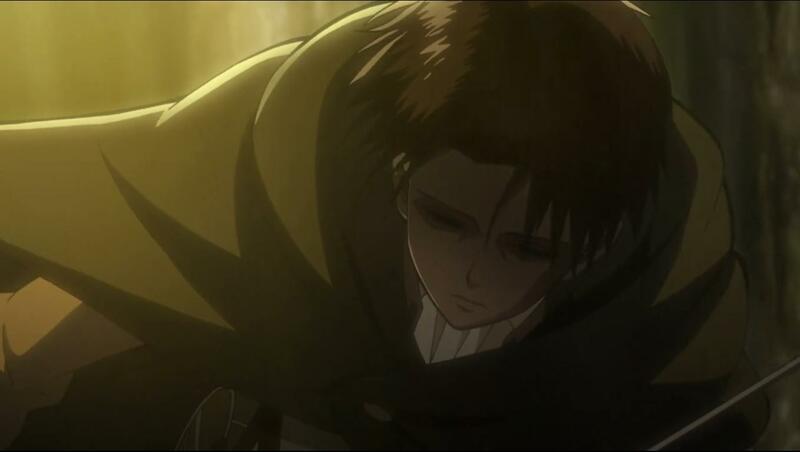 But no matter what, Levi is always the one who does what needs to be done. And even when the horrors do cut through, he keeps himself under control, which is probably why he is still alive. Levi is willing to do what needs to be done, no matter how difficult that might be. This, combined with his general numbness to the world around him makes many other perceive him as cold and uncaring. He is despised by others who cannot turn it off, who cannot understand how he remains calm when everyone around him is dying, who are convinced his ability to base his decision on logic rather than emotion means he does not have a soul. Maybe that is why I love him so much. He does what is necessary, no matter what the cost. He is the soldier that the people of his world need, but they cannot see it. Maybe there is just something about him that you need to watch the show to really understand. I'm no sure. But, whatever the reason, he is one of my absolute favorite characters, of this show and in general. Seriously though. Go watch Attack on Titan. Right now. Then come back and we can talk about it for hours. I leave you with this GIF because it makes me laugh. 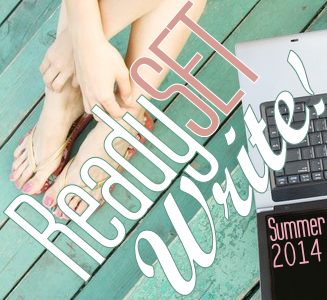 *EDIT* It is only just now occurring to me that this post actually contains a spoiler. It hadn't occurred to me because I and everyone I'm around is so familiar with the movie that I kinda forgot some people haven't actually seen it. If you have your heart set on going into this movie blind plot wise- and I don't blame you- then probably avoid the post. Sorry about that!! These posts keep ending up so much longer than I intend them to be, ugh. I can't help it I have a lot of feelings about fictional characters. The hilarious voice of reason. So a lot of people have been talking about how Frozen basically points out everything that is wrong about a lot of the older disney movies. And a lot of that logic gets filtered through Kristoff. For example. Most Disney females that's who. Good job Kristoff. Proud of you. Their relationship formed naturally, instead of being the traditional "love at first sight" thing we usually see in movies like this. And on top of that, they are equals in the relationship. He wants to keep her safe, but he doesn't force it on her. He respects her and recognizes that she can take care of herself. He's ready to knock Hans into next year, but he stops when Anna asks him too without fighting her. He respects her enough to trust her and let her handle it the way she wants. This scene you guys. THIS FRIGGIN SCENE. Gone are the days when the prince kisses the sleeping princess who has absolutely no say in the matter whatsoever. 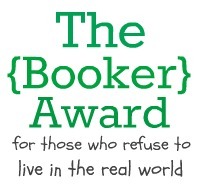 THIS IS WHAT IT IS SUPPOSED TO LOOK LIKE. Oh my gosh I got so excited in theaters during this scene I don't think you understand. He does not assume she'd be fine with him kissing her; he asks. HE ASKS. Consent is beautiful ladies and gentlemen. Thank you Disney. Thank you so freaking much for this scene. Kristoff is far from the typical Disney prince. He can be selfish sometimes, awkward, a bit quirky. And that is why I love him so much. 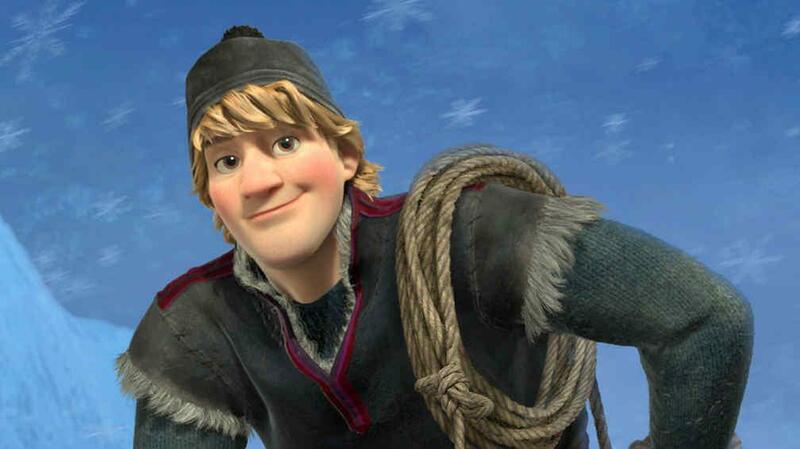 Kristoff is real. Prince Charming is not. I want more prince's like Kristoff. Hello! His Name is Inigo Montoya! H is for Hermione Granger! A is for Arya Stark!